Legacy Giving is about ordinary people making extraordinary gifts! A legacy gift to the Medford Gospel Mission allows you to help secure the vision, life, and mission of this time-tested ministry. Your gift will help ensure that we are not only able to maintain, but can expand God’s ministry through the Medford Gospel Mission, well into the future. A gift made through your estate provides a lasting legacy of love and support, which directs your earthly treasure to reach souls for Christ. Your foresight now can result in many people entering into the joy of our Lord long after you have entered in yourself. Legacy Giving will ensure the Medford Gospel Mission remains a vital ministry for generations to come! Do you have a will or revocable living trust? Have you included the Medford Gospel Mission in your estate plan? In light of recent federal estate tax changes, it is a good idea to review your existing estate plan to make sure your current plan reflects your wishes. It’s easy to include the Medford Gospel Mission as a beneficiary in your will or living trust. Do you own stock or mutual funds that have appreciated in value? By transferring the shares directly to the Medford Gospel Mission, you’ll receive a valuable income tax deduction and avoid paying the capital gains tax that you would have paid if you sold the shares yourself. Do you own a vacation home or rental property that takes up too much of your time with endless projects and oversight of the tenants? Consider making a donation of the property directly to the Medford Gospel Mission. For your generous gift, you may receive an income tax deduction and may avoid paying the capital gains tax that you would have paid if you sold the property yourself. More than likely the primary beneficiary on your life insurance policy is your spouse, child, or other relative. 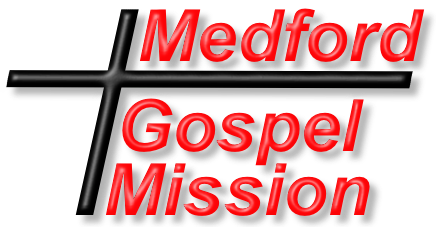 Please consider naming the Medford Gospel Mission as an additional beneficiary and split the insurance proceeds according to a set formula. For example, you can name your spouse as primary beneficiary of 75% of the proceeds and the Mission as beneficiary of 25% of the proceeds from the insurance.